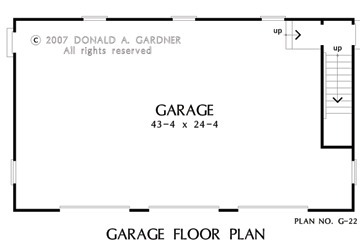 If you are looking for storage space, this three-car detached garage is the ticket. With three bays on the main floor plus a generous bonus room above, this plan has more than enough space to accommodate your needs. The classic styling and clean lines allow it to blend seamlessly with most home styles. 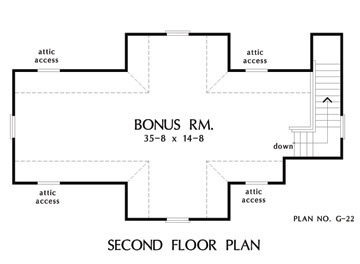 House Dimensions: 44' 0" x 25' 0"
Bonus Room : 39' 4" x 14' 8" x 8' 0"
Garage : 39' 4" x 24' 4" x 0' 0"
Garage Storage : 4' 0" x 7' 10" x 0' 0"
Other : 3' 8" x 5' 0" x 8' 0"